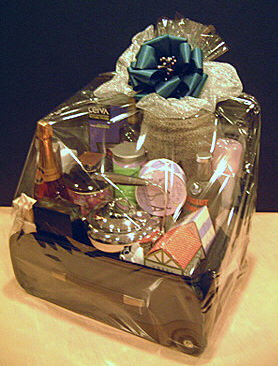 The SAG Awards Basket was given to all the award presenters at the Screen Actors Guild Awards in March, 2001. The SAG Awards gift project was produced by Dennis Lumpkin. The SAG Awards basket was designed by FanciFull Gift Baskets of Hollywood.